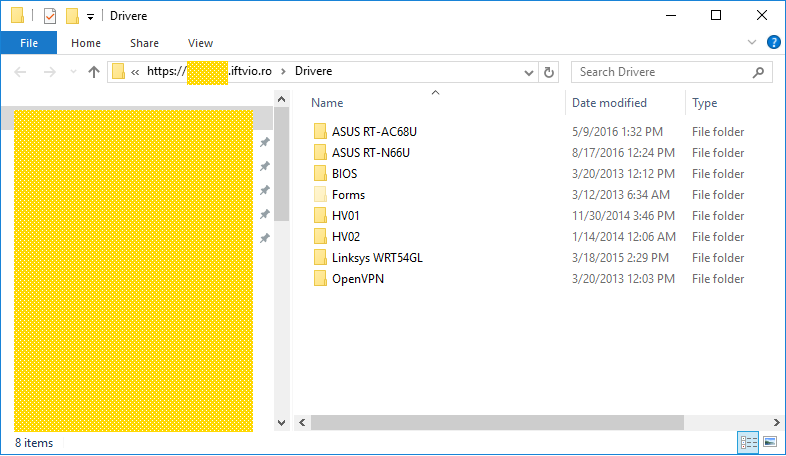 We’re having a problem opening this location in File Explorer. Add this website to your Trusted Sites list and try again. 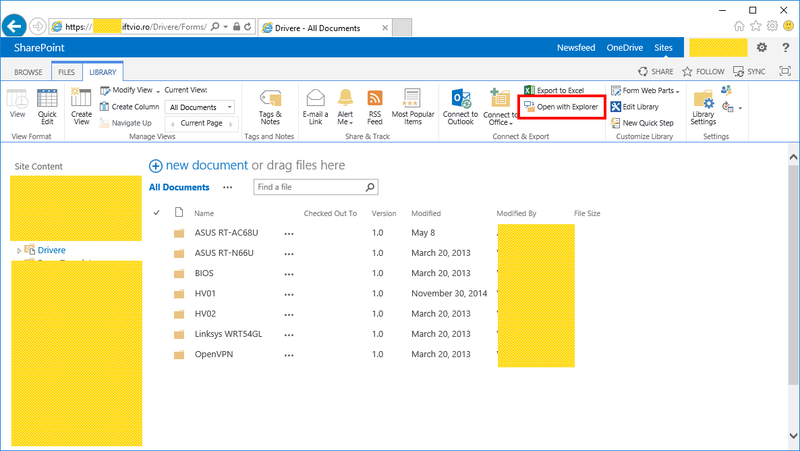 In case you are using Windows Server 2016 and you want to connect to your SharePoint sites using the Explorer mode, there are big chances to encounter “We’re having a problem opening this location in File Explorer.” warning message. That’s because the WebClient windows service (responsible for the “translation” into Explorer mode) is by default not installed with the Windows Server 2016 OS. 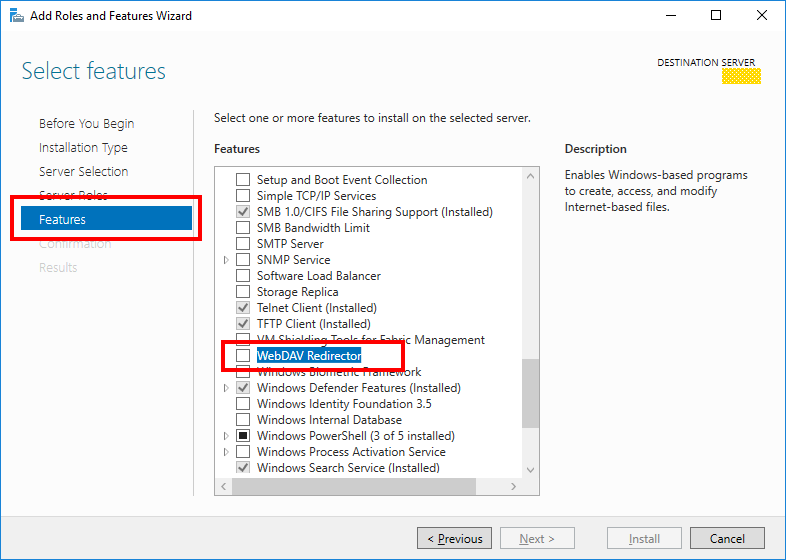 The same story was also on Windows Server 2012 and Windows Server 2012 R2 (and the fix was to activate the “Desktop Experience” feature from the Server Manager console). 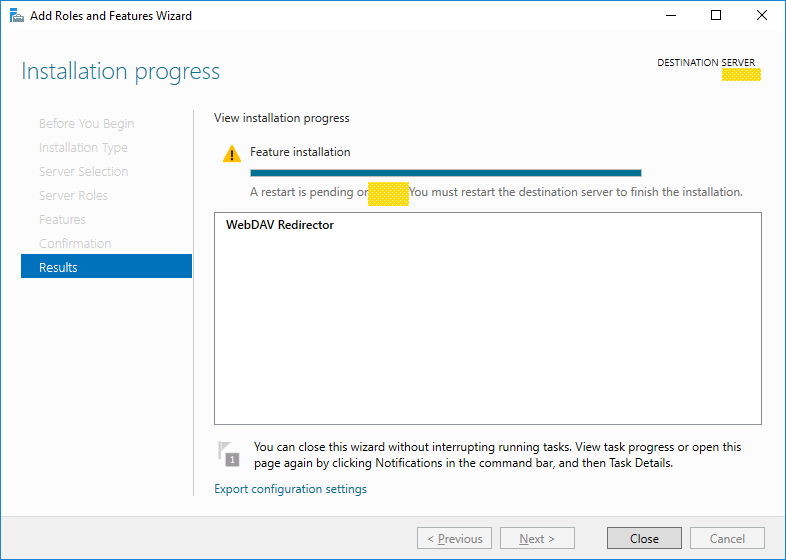 This time (in case of Windows Server 2016), in order to get the WebClient windows service you need to activate the “WebDAV Redirector” feature. 1. 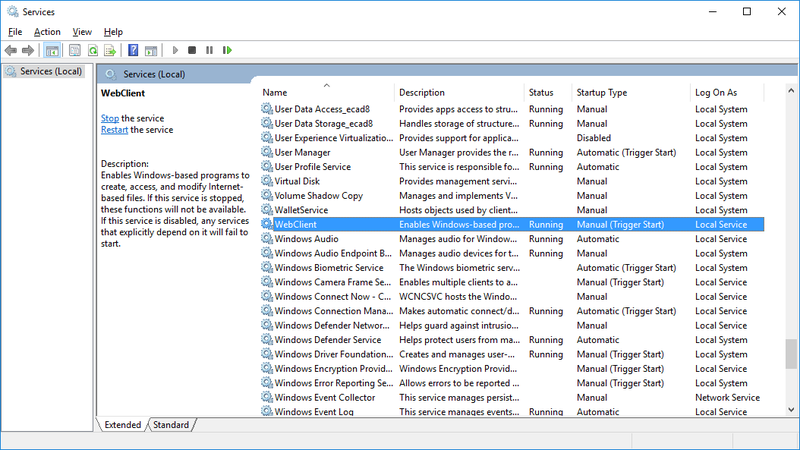 Adjust the WebClient windows service settings via Windows Registry (HKEY_LOCAL_MACHINE\SYSTEM\CurrentControlSet\Services\WebClient\Parameters). 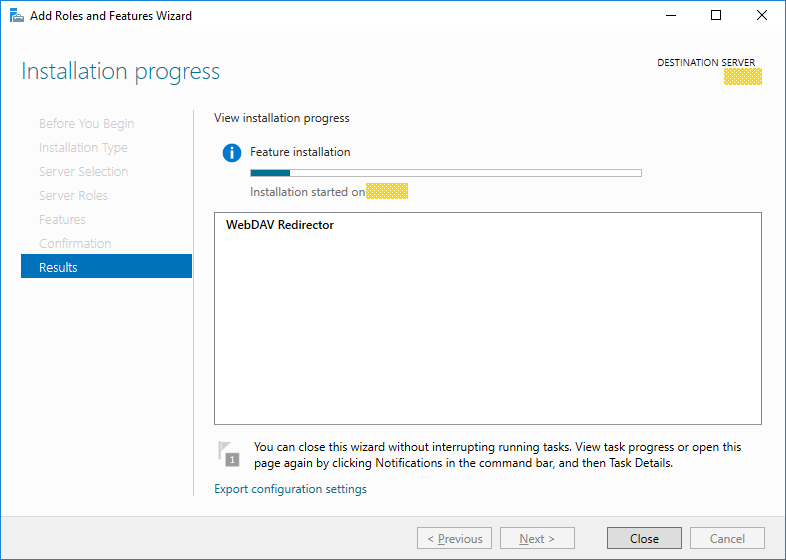 Restart the WebClient Windows Service. 2. Make sure you add your SharePoint sites part of the Internet Explorer Trusted sites list. 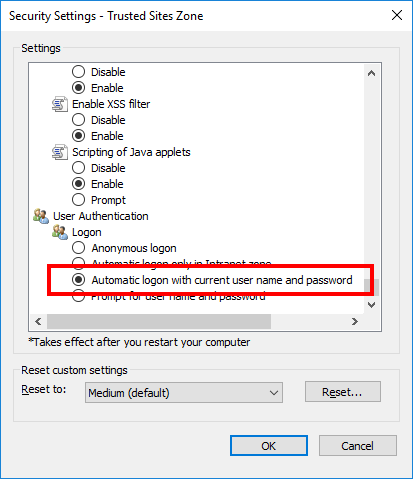 For the Trusted Sites Zone configure the Automatic logon. Once these are done, the Open with Explorer mode will work. Thanks. You saved my day. Wasted hours trying to figure out gone desktop experience feature. Excellent article. I had to do a little putzing around to get this to work with our old MOSS 2007 installation, but the major points were spot on. Thanks a ton! A co-worker and I did everything in your article and it still didn’t work. However, I noticed that you have a multi-string reg value called AuthForwardServerList that you didn’t highlight. Once we added that, it started working for us. Gold star for you for this!